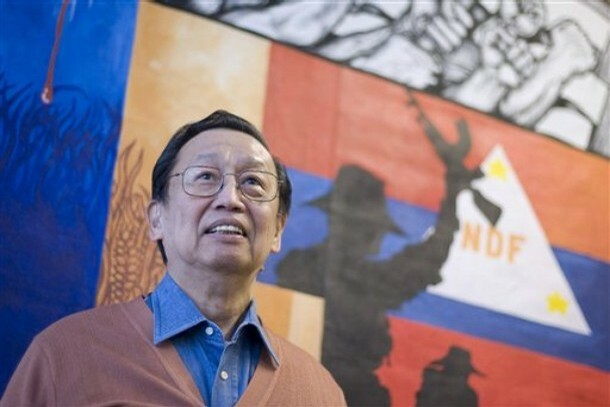 Interview with Roselle Valerio, Liberation International, September 13, 2009. Posted on Arkibong Bayan. Thank you for granting this interview in your capacity as the chief political consultant of the negotiating panel of the National Democratic Front of the Philippines (NDFP). I would like to ask some questions about the status and prospects of the people’s war and the peace negotiations of the NDFP with the Government of the Republic of the Philippines (GRP). But first let me ask you, what is your current personal situation in exile, as a political refugee? 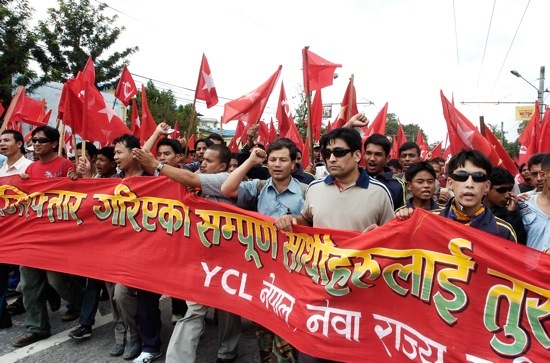 KATHMANDU- UCPN (Maoist) Youth front, Young Communist League (YCL) on Friday made public their struggle programmes to reinforce the mother party’s third phase protest. Organising a press conference in the capital, the YCL publicised its struggle programmes to be launched from Nov.30 to Dec.18. 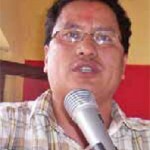 As per the programme, the YCL is scheduled to organise an interaction programme on the problem of unemployment and youth employment from Dec. 2 to Dec.11 nationwide, progrramme coordinator Ganesh Man Pun informed. Pun said the other programmes include an interaction on foreign intervention and nationality on Dec.5, memorandum submission to the Finance Minister on Dec.8, and ministry blockade, field visit to the border encroachment from Dec.11 to 18 and nationwide awareness campaign on the Pancheshwor project and treaties. 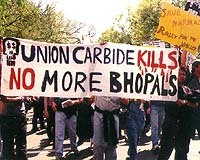 25 years ago, on the night of 2-3 December 1984, a terrible gas leak from the American multinational Union Carbide’s pesticide factory resulted, over the years, in the death of over 35,000 people and the chronic illness of over 3 lakh [300,000] people, of whom over 1 lakh were permanently maimed. On February 20th, more than a hundred survivors of the Bhopal gas tragedy and their supporters began an 800 kilometers walk from Bhopal to New Delhi to remind the Prime Minister Manmohan Singh of the promises he did not keep. Organizations such as Bhopal Gas Peedit Mahila Stationery Karmachari Sangh, Bhopal Gas Peedit Mahila Purush Sangharsh Morcha and Bhopal Group for Information and Action are leading this “Padyatra.”They are demanding that the Prime Minister begin an empowered commission on Bhopal for medical care and rehabilitation of the Bhopal victims and their children. The Communist Party of the Philippines said that even as reactionary politicos’ private use of military, paramilitary, police as well as their own hired goons has historically been part and parcel of traditional reactionary politics, these armies have grown by leaps and bounds under the Arroyo regime. 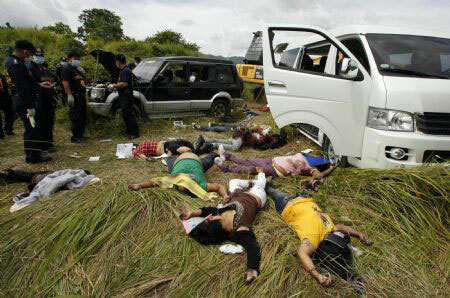 The CPP said that this culture of wanton violence was blatantly displayed last Monday in the Maguindanao massacre that brutally wiped out at least 47 lives, and is bound to escalate as the election fever heats up in the next several months. Nepalgunj: Violating the Comprehensive Peace Accord, a sister wing of the UCPN-Maoist seized 21 bighas of land at Rajhena in Kohalpur on Wednesday. More than 100 activists led by Prem Shah, Banke chairman of the All Nepal Landless Squatters’ Association affiliated to the Tharuwan State Committee, which is aligned to UCPN-M, erected the party flag and seized the land belonging to late Mahendra Golchha. As you read this invite, Indian state’s ongoing war on people that began on the 1st of November will already complete several weeks. The body-count of the adivasis –the prime victims of the Indian government’s ‘hunt’– also started to mount. BARA – Thousands of goats, chickens, ducks and pigeons were sacrificed on the second day of Gadhimai festival being held at Bariyapur of Bara district. Around 200,000 goats and birds that were brought by the pilgrims were slaughtered on Wednesday, said Shivchandra Kushawaha, chairman of the festival organising committee. 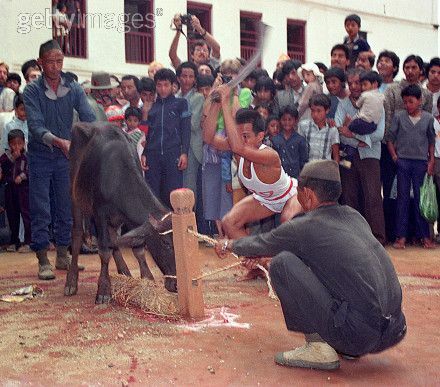 On Tuesday, the first day of the festival, around 17,000 buffaloes were slaughtered. Raman Thakur Bhuihaar, who hails from Sitamadi in Indian state of Bihar, alone made an offer of 105 buffaloes for sacrifice. My Republica, November 24, 2009. 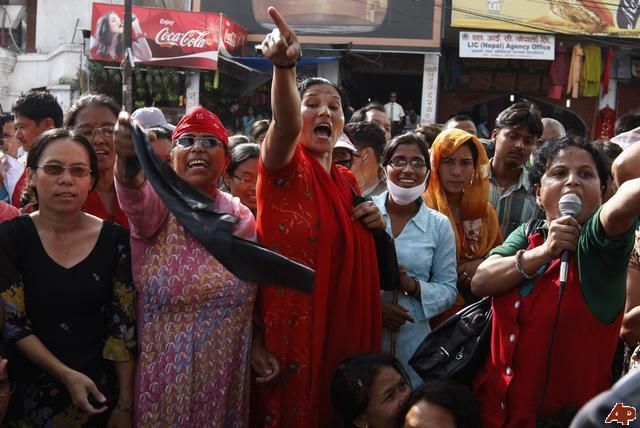 As usual, Maoist-affiliated All Nepal Women’s Association (Revolutionary) and some women rights activists tried to disrupt the Miss Nepal beauty pageant 2009 with sloganeering and demonstration of black flags. Despite that, the pageantry was successfully held last Thursday ([September 24]. Because of possible security threats, this year the event managers chose Army Officer’s Club located within the premises of army headquarters as their venue. Telegraph Nepal, November 24, 2009. As your party enters into the third round of protest programs soon, tell us how have you analyzed the Second Round of Protest programs? 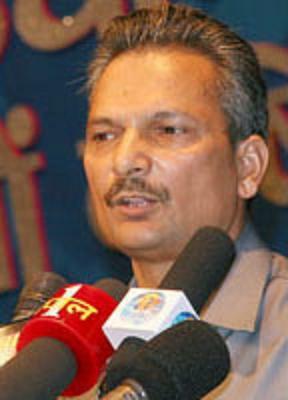 Dr. Bhattarai: The second round of protest was a grand success. Our demand for restoration of Civilian Supremacy in the country has been established well among the masses due to their huge participation in the protest programs. And it is true that it makes no sense if the government addresses our demands or not because those in the government have no peoples’ support. They are not responsible to the people. They are instead spreading the gossip that our protests have had no impact. Do you have the feeling that the third round of protest will force the government to accept your demands? Let us unite and struggle to free all political prisoners across the world! Activists of the People’s Fadaii Guerrillas of Iran – London. A senior Maoist leader has warned that the nationwide agitation waged by the party for upholding ‘civilian supremacy’ can very well turn into a people’s rebellion. Maoist Standing Committee member Netra Bikram Chand ‘Biplav’, however, assured that the party has no immediate plans for an all out rebellion, even though the ruling parties are just inciting them for the same. Speaking at a programme in the capital on Tuesday, Chand refuted rumors that the Maoists launched the nationwide agitation just to get back into power. Chand also claimed that there would be massive participation of communist, nationalists and republican forces in the party’s third phase of protest, which began from Nov. 22. He also said that the party has plans to declare autonomous ethnic provinces during the third phase of stir, adding that this (the declaration of autonomous provinces) will foil the conspiracy of reactionary forces both inside the country and outside to spread communal hatred in the country. This statement was posted on KanglaOnline. IMPHAL, Nov 23: The central committee of the UNLF extended its greetings to the entire people of Manipur on the occasion of the 45th anniversary of the party. The press statement also contained the party`s annual statement for the year 2009. 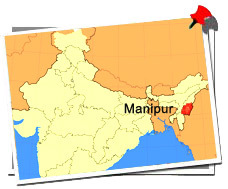 It said the current year recorded the maximum number of killings by the government ever since the annexation of Manipur on October 15, 1949. This article was published on eKantipur.com. DHNAKUTA, NOV 22 – The UCPN (M) affiliated National Teachers Union (NTU) on Sunday enforced shutdown of entire educational institutions across five eastern districts. The teachers union called for the closure across five districts under Limbuwan State Committee–Dhankuta, Taplejung, Panchthar, Ilam and Jhapa–demanding action against the CPN-UML’s youth wing Youth Force cadres who had allegedly assaulted Taplegung-based teacher Laxmi Angdambe. All the academic institutions in the five districts have remained closed from today. According to the NTU district chairman Madan Adhikari, YF cadres are behind the attack and the union would enforce indefinite closure of academic institutions across the Limbuwan State districts if the culprit was not booked. Published on Merinews, November 5, 2009. The land, about 2000 acres seized by Chasi Mulia Adivasi Sangha (CMAS) under Narayanpatna Block of Koraput district couple of months back, harvested bumper paddy crop this year, when the entire state farmers suicidal deaths are continuing for their crop damages. When contacted, Nachika Linga leader of CMAS of Narayanpatna Block, “We have taken possession of about 2000 acres of land and distributed among our members.” With bows, arrows and other traditional weapons, both male and female members of CMAS walked to the fields and harvested paddy crop on their own paternal lands. 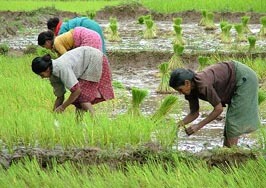 “This year for the first time without using chemical fertiliser and pesticides, the crop was harvested,” Linga said. 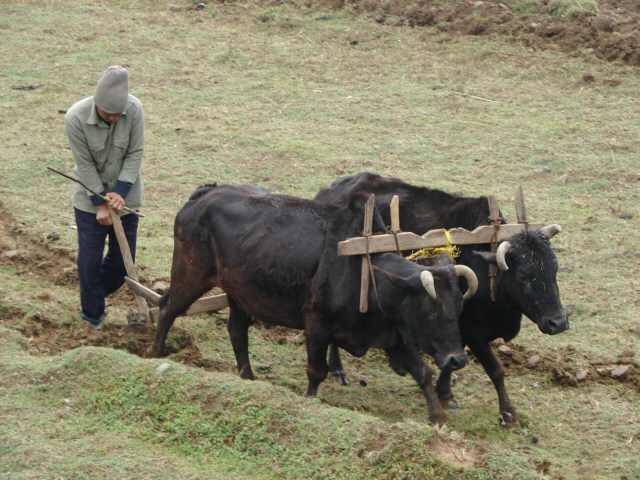 Linga also expressed that the land of their own was under the possession of a particular community (Sundhi by caste) restored forcefully after 10 years of our agitation programmes. The failure of the successive governments to restore the land forced us to take the land in our position and driven them out from the lands. Nachika Linga said that he doesn’t believe the present democratic system and offices functioning in the name of benefiting the tribals and physically benefiting the non-tribals, money lenders and liquor vendors. 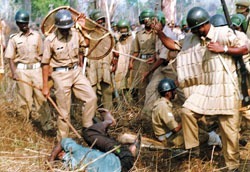 Recently, Nilakantha Parida was taken under the custody of the members of CMAS Narayanpatna and interrogated for about one week inside the jungle, and on a request of some of the supporters of the movement allowed him to go on a condition not to support the government’s sponsored peace committees in future. 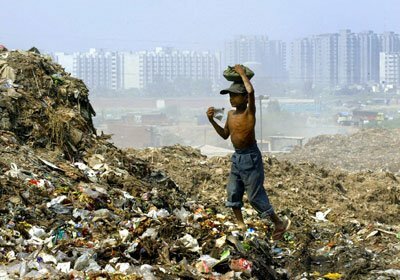 Nachika Linga was a bounded labourer under Nilakantha Praida who tortured Linga without even providing him food to eat. However, we do not spare anybody even including the journalists who are going against the activities of CMAS, Narayanpatna. This statement was posted on the Asian Human Rights Commission website on November 18, 2009.